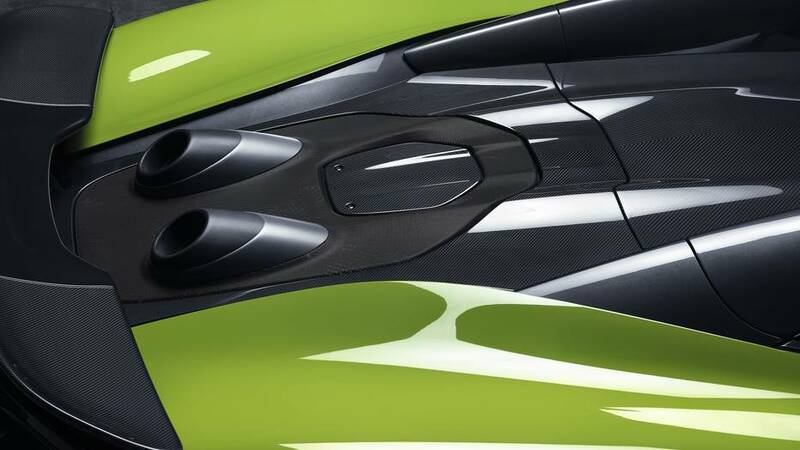 McLaren, though not coming to the Detroit auto show, will reveal a new Longtail on Jan. 16. The company hasn’t said that it will be the 600LT Spider, but that’s where the smart money is. It will be the fifth in the Longtail line. Like the others, the new Longtail will use the company’s LT philosophy of increased power, reduced weight, optimized aerodynamics, track-focused dynamics and limited availability. It will have a production run of just 12 months. The LT line started with the 1997 F1 GTR Longtail, followed by the 675LT Coupe and Spider. The 600LT Coupe was revealed at Goodwood last July. With the 600LT Coupe, McLaren shaved 220 pounds over the 570S on which it’s based. And if this is, in fact, the Spider version, we expect a 3.8-liter twin-turbo V8 making 592 hp and 457 lb-ft with a seven-speed dual-clutch transmission. The weight penalty of the 675LT Spider over the Coupe is only 88 pounds, so this should come in (again, if this is the expected 600LT Spider) around 3,100 pounds. This is one of the few McLarens that isn’t sold out as of this reporting. So call now! Operators are standing by!